Burdette & Rice is a leading Texas law firm with expertise on disputes and litigation in the areas of trusts, estates, and probate. Firm attorneys Brian Thomas and Mark Caldwell will be offering a presentation on power of attorney disputes under Texas law in light of a new statute. Our attorneys not only keep a keen eye on legislative changes in Texas but share their knowledge with the larger attorney community when appropriate. Burdette & Rice, one of the leading Texas probate, estate, and trust litigation law firms with offices in Dallas and Plano, is proud to announce that firm attorneys, Brian Thomas and Mark Caldwell, have been selected to prepare a paper and make a presentation to the Houston Business and Estate Planners Association on the topic of litigating disputes governed by the new Texas statute on February 18, 2018. The recent change in Texas law has significantly changed rights and obligations arising from a power of attorney. Mark and Brian have undertaken significant research and analysis to explain the impact of the new statute to Texas estate planning practitioners. “Our attorneys not only keep a keen eye on legislative changes in Texas but share their knowledge with the larger attorney community when appropriate," explained Elliott Burdette, Managing Director of Probate Litigation at Burdette & Rice. “Recent changes in Texas law will impact the rights and obligations that arise from power of attorney. Accordingly, interested practitioners are encouraged to attend the talk." Persons interested in attending the event can visit the event website at http://www.hbepc.org/events/event/15374. Those who are interested but may not be able to attend can reach out to either attorney by visiting http://www.dallasprobateattorneys.com/team/. Both attorneys and the firm as a whole welcome inquiries from persons who may have been concerns on estate, trust, or probate litigation with the understanding that the lay public may not fully understand the legal issues involved. With recent legislative changes, this is especially true vis-a-vis the issue of power of attorney and potential power of attorney disputes. To learn more about power of attorney disputes on the website, visit http://www.dallasprobateattorneys.com/power-of-attorney-disputes/. The next best step is to reach out for a consultation. Bloggers and journalists looking for Dallas-based experts for interviews on these topics are also encouraged to reach out to the law firm. The firm has offices in both Dallas and Plano, Texas, and serves clients throughout the Lone Star state. And, of course, anyone who can make the presentation is strongly urged to attend. Here is some background on this release. Many people in Texas are serving, or will serve, as attorney-in-fact for a friend or family member at some point. The fiduciary relationship created by a Durable Power of Attorney or Medical Power of Attorney is one of the most common fiduciary relationships that we encounter, yet it is the one that is the most often abused. A Durable Power of Attorney is a written instrument that authorizes a third party to manage someone else’s financial affairs. This instrument remains effective even if the person signing the instrument becomes disabled or incompetent after signing it, thus making it “durable.” Durable Powers of Attorney present numerous potential disputes that play out in the probate courts. In the most common factual scenario, a parent has given one child a power of attorney to manage the parent’s financial affairs. The child may become secretive about his or her actions, or engage in suspicious transactions without the parent’s consent or authority. Many cases like this will involve other friends or family members expressing concerns about the Attorney-in-fact acting improperly. Recent changes in Texas law have had an impact on powers of attorney and potentially on disputes arising around them. Legal professionals are thus encouraged to attend the talk to learn more. Burdette & Rice, PLLC is a top Dallas probate law firm, with lawyers dedicated to listening to their clients, being fully present to them, and advocating their clients’ positions in the simplest and most persuasive way possible. The law firm employs some of the top probate and estate lawyers in Dallas, Texas. Clients come to Burdette & Rice to contest a will in Texas, work on complex inheritance litigation and disputes, and to litigate disputes over powers of attorney, guardianship and trustee issues all based on Texas law. 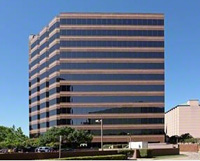 Learn more about their Dallas, Texas, office at https://goo.gl/maps/Hzk9Ta219Fo.